University of Michigan Professor George Bornstein, Ph. D., discusses topics surrounding his essay in Irish Questions and Jewish Questions. The Irish and the Jews are two of the classic outliers of modern Europe. Both struggled with their lack of formal political sovereignty in the nineteenth-century. Simultaneously European and not European, both endured a bifurcated status, perceived as racially inferior and yet also seen as a natural part of the European landscape. Both sought to deal with their subaltern status through nationalism; both had a tangled, ambiguous, and sometimes violent relationship with Britain and the British Empire; and both sought to revive ancient languages as part of their drive to create a new identity. The career of Irish politician Robert Briscoe and the travails of Leopold Bloom are just two examples of the delicate balancing of Irish and Jewish identities in the first half of the twentieth century. 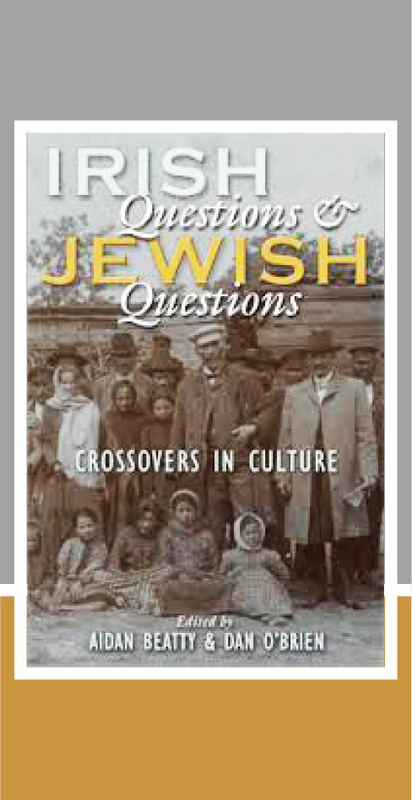 Irish Questions and Jewish Questions explores these shared histories, covering several centuries of the Jewish experience in Ireland, as well as events in Israel–Palestine and North America. The authors examine the leading figures of both national movements to reveal how each had an active interest in the successes, and failures, of the other. Bringing together leading and emerging scholars from the fields of Irish studies and Jewish studies, this volume captures the most recent scholarship on their comparative history with nuance and remarkable insight. George Bornstein taught English Literature at Michigan for over forty years, during which time he wrote or edited twenty volumes and won a teaching award. He currently works on Jewish-Irish connections, as in the present article from the new book "Irish Questions and Jewish Questions" (Syracuse University Press) from which the current autobiographical talk is drawn.